Have you ever indulged in a body scrub? I know of no better way to exfoliate, hydrate, and stimulate the skin—and they smell wonderful! Scrubs can retail for fifteen to twenty dollars, but why spend the money when you can make you own? You probably already have most, if not all, of the ingredients. Ground Sea Salt or Granulated Sugar. Sea salt contains beneficial minerals but you want to choose a salt already ground, don’t just use your home grinder. When using a home grinder the resulting crystals have sharp edges and are too abrasive. Grapeseed—grapeseed is often used because it is relatively inexpensive and has a long shelf life. Add your essential oils—The general rule for essential oils is up to 15 drops (total) per tablespoon of carrier oil but it is best to start with a light hand. I suggest starting with 10 drops total per jar of scrub, you can always add more if you desire a stronger scent. If using two or three scents you may wish to blend them in a separate bowl before adding to the scrub. When blending, decide first what your base note will be as you will be using more drops of that scent. For instance, if I wanted sandalwood-rose I would begin with 5 drops of sandalwood and add two or three drops of rose. That’s it! Leave the oil sitting on top and stir just prior to use. 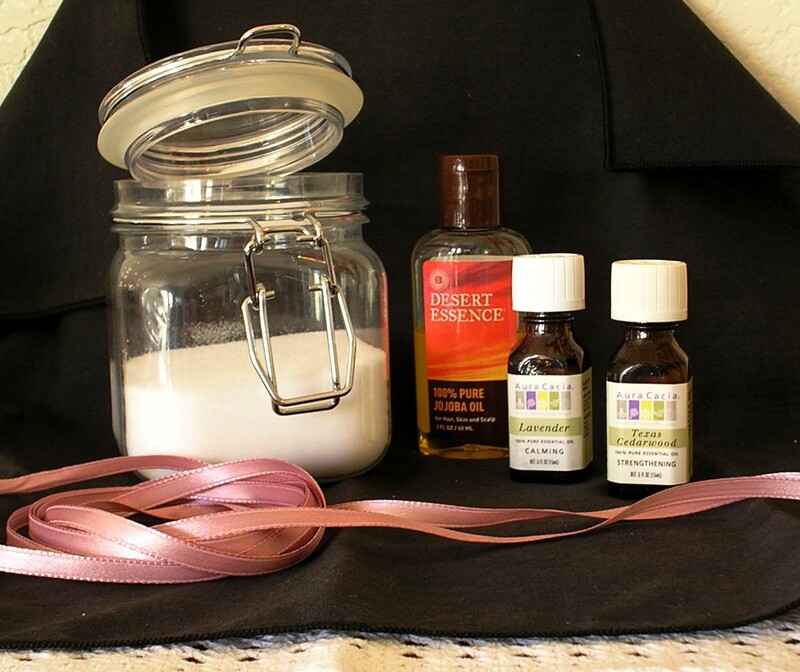 Birthdays/Graduations–make two or three different scented scrubs to tuck into a gift basket. Weddings–gift your bridesmaids with matching scents.